Dawn of the space age? This past July marked the fortieth anniversary of the moon landing. I’m too young, but my parents remember watching the moon landing, and the earlier space flights. I’ve grown up with the space shuttle and Mars rovers, but no lunar landing. 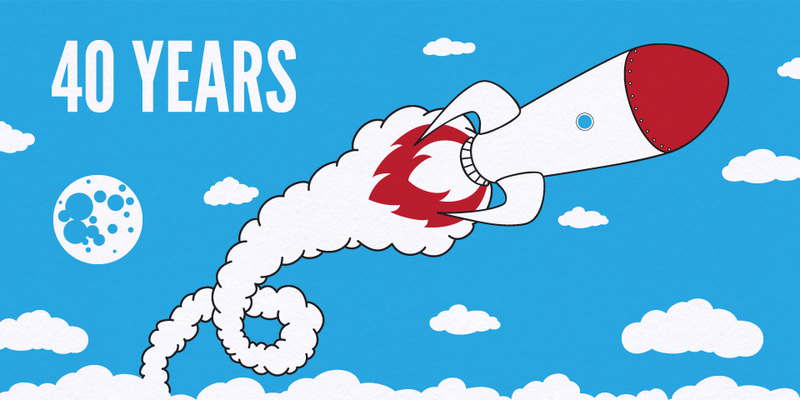 It’s been forty years since we went to the moon, will it be another forty before we return? Some scientists have suggested returning to the moon and using it as a launching point for Mars, but with NASA’s funds diminishing, I’m left asking…when? Like all my illustrations, this one started in my sketchbook. 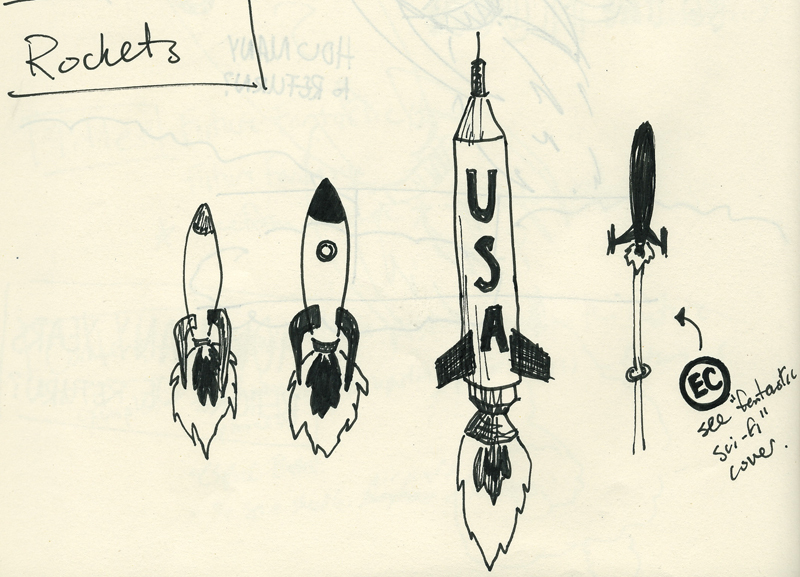 One day I found myself drawing some rockets in a few different styles. Later I used them as references to make the digital illustration. 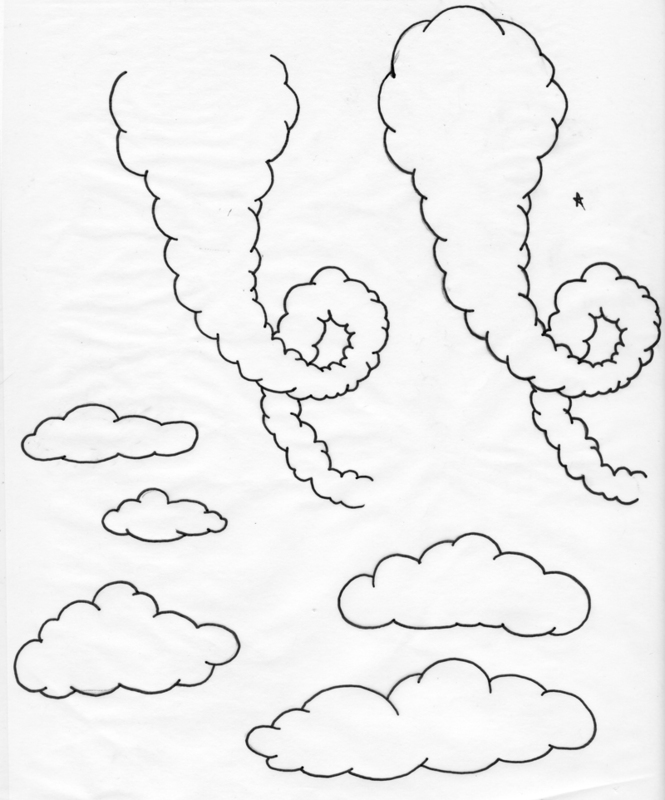 The clouds were drawn, traced, refined, traced some more and then scanned. Once in the computer they were traced using the pen tool. Colors added using live-paint and shape layers. In this download you get the desktop wallpaper, plus a vector illustration. The vector file is sized as a wall poster (18×24) and I hope someday to screen-print it on some nice paper. Until then, enjoy! That is pretty cool… Do you have any other interesting illustrations on offer or is it just these.. I love checking out websites like this one.. so fresh and inspiring Keep it up.. I promise to have new illustrations and posts soon. I took a long break to regroup and research for new material. Feel free to check out my Flickr in the meantime, especially my prints and drawings.